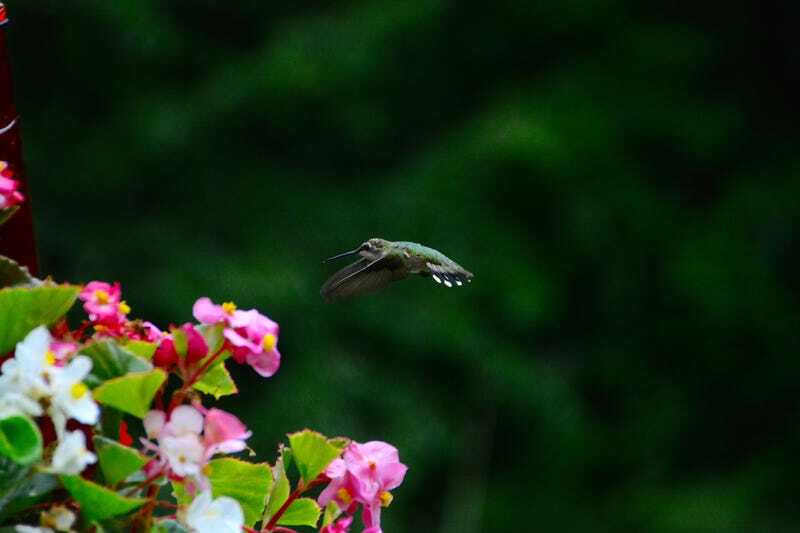 I’ve got this hummingbird that’s always behind my house, and I’ve been trying to hard to get a good shot of it but it’s SO DAMN DIFFICULT to get a good photo of a hummingbird...they are just ridiculously fast and erratic. And when you do get them in frame, it’s completely blurry. Finally bit the bullet, turned up the ISO, waited for like two hours, and shot these on some insanely fast shutter speed like 1/3200 or 1/4000. Bingo! Now I just have to do this again on a day when it’s actually sunny so I can turn the ISO below 800 and get cleaner shots. It was totally overcast today. But here’s the catch: hummingbirds are way less active on days where it’s directly sunny; it’s harder for them to thermoregulate. So...yeah.